North Korea has been seeking a personal meeting with an American president for decades. 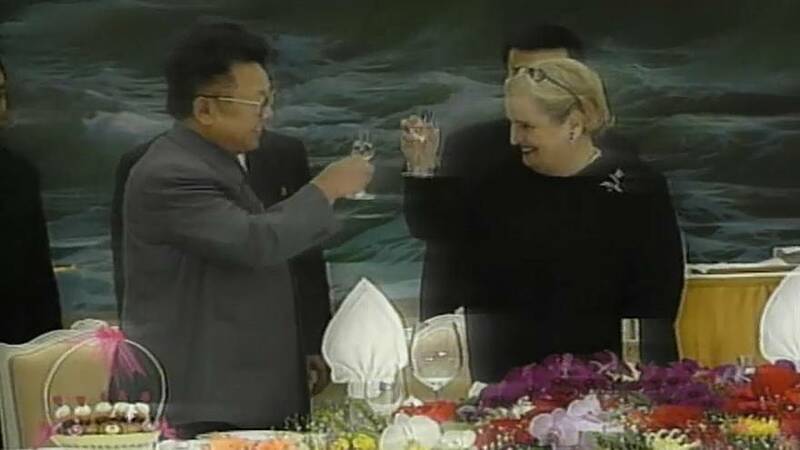 The highest-level US official to have ever met with a North Korean leader was Secretary of State Madeleine Albright. She visited the North Korean capital Pyongyang in 2000 to meet with Kim's father, the late Kim Jong-il. She hoped to arrange a visit for then-President Bill Clinton. But it fell through when Kim would not agree to a missile deal in advance. After the collapse of the Soviet Union, North Korea had agreed in the early 1990s to freeze and eventually dismantle its nuclear facilities, in exchange for oil and aid. But the negotiations gradually fell apart as evidence of non-compliance grew. President George W. Bush took a more hardline approach. His administration accused North Korea of enriching uranium, which Pyongyang denied. In his 2002 State of the Union speech, Bush described North Korea as part of an "axis of evil". By 2003, North Korea had officially withdrawn from the Nonproliferation Treaty. In 2006, it made its first nuclear test. As the world grew alarmed, disarmament talks intensified, and North Korea eventually moved in 2008 to destroy its Yongbyon nuclear reactor as a sign of goodwill. However, disagreements remained on how to verify its claims. President Barack Obama later tried his hand at dialogue mixed with sanctions. But the death of Kim Jong Il ushered in the rule of his son, Kim Jong Un, and Pyongyang accelerated its nuclear tests – culminating in its biggest ever last September. Days later, addressing the UN General Assembly, Trump threatened to "totally destroy" North Korea if it continued to provoke the US or its allies, and belittled Kim as "rocket man... on a suicide mission". The two leaders later traded insults and Trump bragged his "nuclear button" was bigger than Kim's. Some experts are now warning the Trump administration may be rushing unprepared into an unprecedented summit between two volatile leaders.